The Spectator - IFA Vintage and Current Book Library - Index Fund Advisors, Inc. 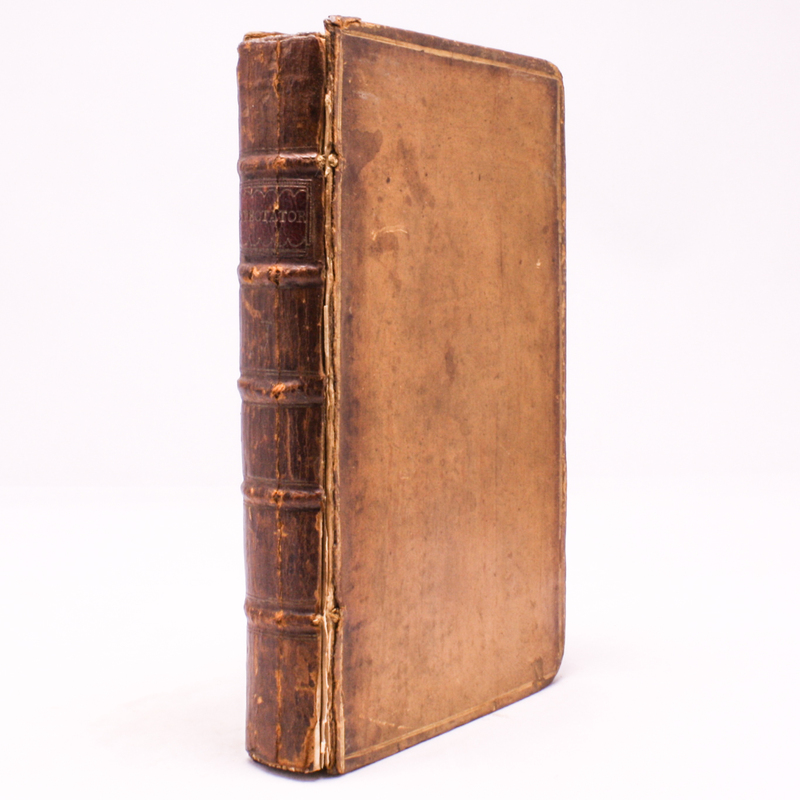 THE SPECTATOR VOLUME the FIRST ( Addison & Steele ) Printed for J. and R. Tonson in the Strand, London MDCCLXV (1765). This hardcover book measures 4" X 6 3/4" - 324 pages plus index, with a B&W frontispiece by F. Hayman. The book is fully leather bound with 5 raised bands. The front board is detached, and (as of now) held by a single cord. The reverse hinge is split, but still with the book. The ends of the spine are worn away and the corners are bumped and worn. The red title panel is still on the spine. The pages are mildly age toned. There is a small ownership bookplate on the first endpaper. 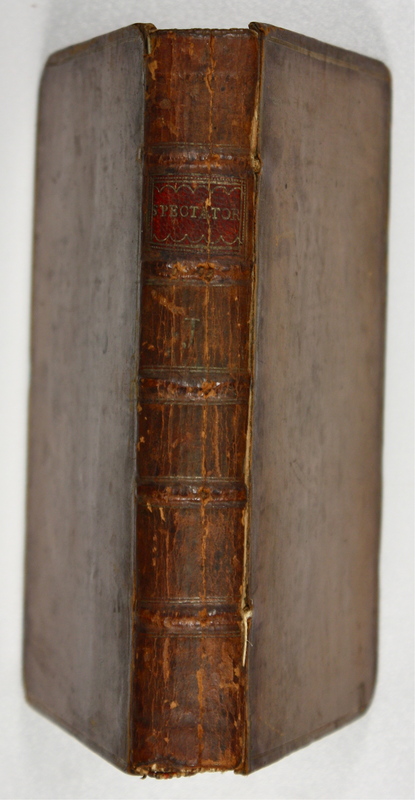 The spine is firm, the pages tight, and if not for the broken front hinge, the book would be in Very Good condition for its age.